This dreamcatcher is 15" in diameter and approximately six feet long! The hoop is wrapped in genuine gold buckskin and the web is decorated with six coral pieces up to 1 1/2" inches long and 1/2" wide. It also has numerous fire cut red crystal beads in the web, along with a bundle of horse hair. 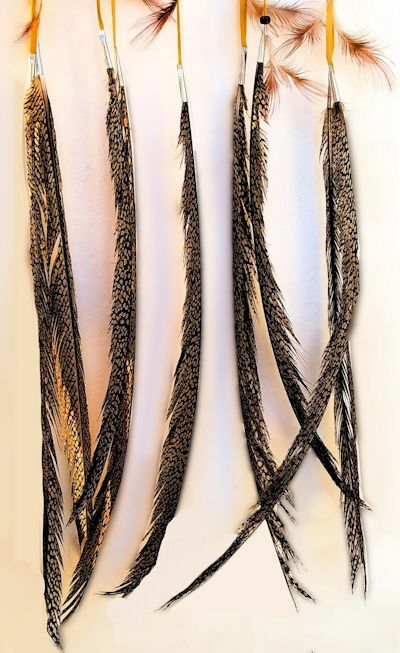 The extra long fringes are decorated with colorful pheasant feathers and tipped with long pheasant tail feathers held on with brass cones. 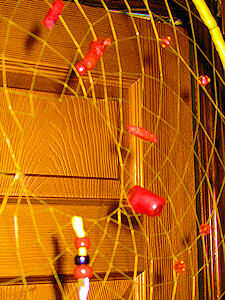 The smaller golden pheasant feathers are held on with glass crow beads in red and black. 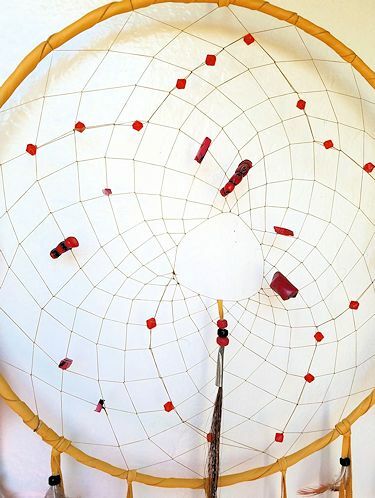 Click on the thumbnail image to see the full length of this dreamcatcher. This dreamcatcher can be shipped to the US, only. 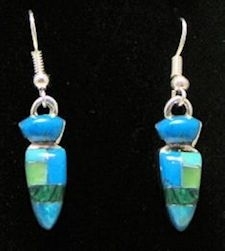 Not produced by or the product of a particular Indian or Indian tribe as defined by the Arts and Crafts Act.